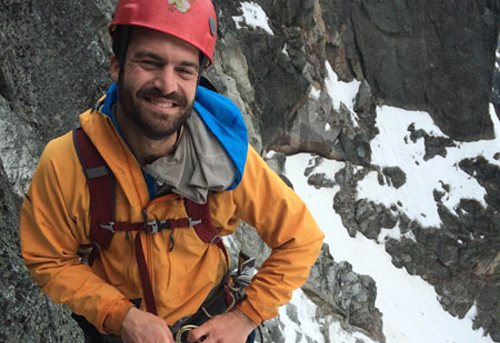 Willy Oppenheim has been playing in the mountains all his life, and has been working in the mountains since 2009, when he began leading mountaineering, rock climbing, and skiing courses for the National Outdoor Leadership School (NOLS). Willy has led numerous mountaineering expeditions in the North Cascades and the Waddington Range of British Columbia, and has also worked in India’s Kumaon Himalaya and the Wind River Range of Wyoming. His personal climbing trips have brought him to Ecuador, Chile, France, and Pakistan, where in 2011 he was a member of a four-man team attempting a first ascent in the Charakusa Valley. When he is not climbing or skiing in the mountains, Willy spends his time leading an international education non-profit, Omprakash (www.omprakash.org) and enjoys playing guitar, baking bread, running, and flyfishing.